Join us this week as we welcome the fast rising pop band, Like the Movies. From the very first hook this Energetic pop sound is so infectious you'll have it stuck in your head for the remainder of the day. Like the Movies has a blend of just the right pop lyrics, energy and song structure, you'll be singing along. Hailing from Orlando, FL., “Like the Movies” was formed in February of 2012 but band members Chris Ganoudis and Nick Davila have been performing together since 2008. As they began to create the LTM sound, they headed to Nashville and started working on new music. The band released their first EP during the Summer of 2013. They have experienced success on the East Coast in the past opening for "Sugar Ray" and numerous stops including the Florida Music Festival, Hard Rock LIve, and House of Blues. In 2013 LTM was on tour and played in support of The Summer Set, We The Kings, The Ready Set, Breathe Carolina, We Are the In Crowd, GO Radio and more. The duo's latest effort "Boys Like U" in which they teamed up with pop artist Ali Brustofski, is available now on iTunes. We will talk to them about their upcoming schedule, get a behind the scenes look at their music, feature their latest songs, and ask them to share their message for the troops. 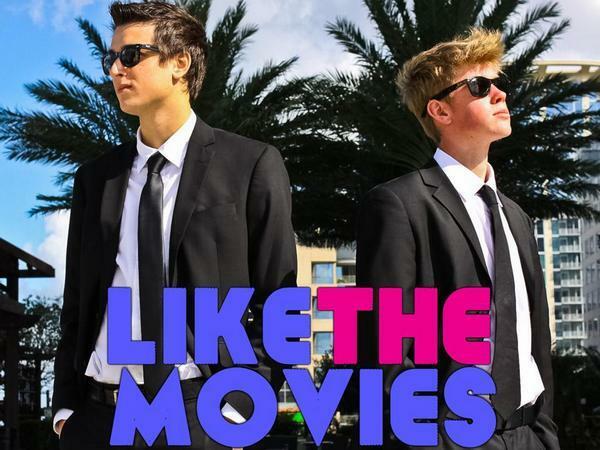 Please be sure to visit Like the Movies at http://www.likethemoviesband.com/ and spread the word. Fans are welcome to call in and speak live with with them during the show (718) 766-4193 If you would like to participate in the live chat during the show, you must sign up on the show site first and then log in during the show. More great music for a really great cause! And as always we will give shout outs to our deployed military listeners. Be sure to join us, Sunday 7/13/2014 at 4 PM EDT! Our message to the troops....WE do what we do, because YOU do what you do.